While we often celebrate the success of people who manage to "make it" in their chosen fields, sometimes the stories of how they got there can be heartbreaking. 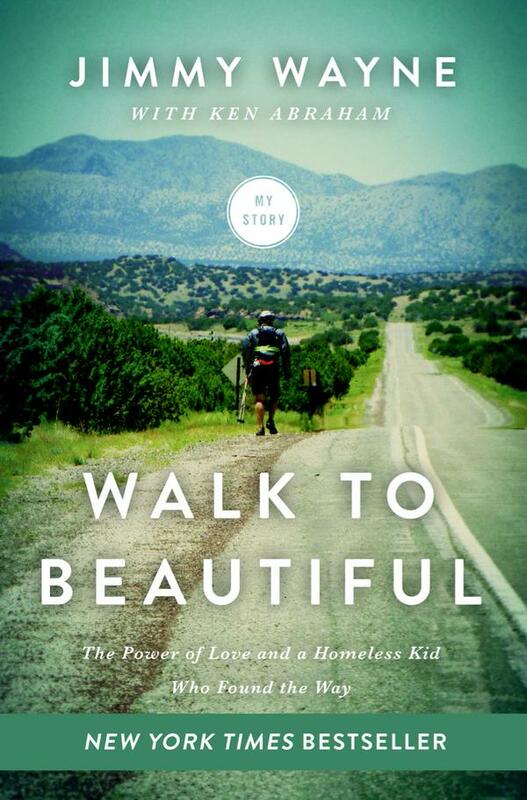 The book Walk to Beautiful by singer Jimmy Wayne, is equal parts inspirational and devastating. Although he has found success as a country music singer, his horrific childhood of abuse, neglect and abandonment at the hands of his bipolar mother naturally impacted his life. After spending part of his childhood in the foster care system, he decided that as a successful adult, he needed to do something to help those young people who "age out" of the foster care system and have few resources to turn to for help or guidance. Jimmy Wayne Barber and his older sister grew up with an erratic single mother. Although his mother had a lot of men in her life, she never was interested in staying long with the ones who treated her well. Instead, she moved her children into ramshackle houses in the worst part of town, and invited in all the alcoholics and drug addicts she came across to feel free to stay as long as they wanted. Not surprisingly, Jimmy and his sister regularly witnessed violence, as well as being hungry and neglected. His mother's moods swung wildly between substance abuse and violent religious fundamentalism, beating the children when they mispronounced words as she forced them to read Biblical verses aloud. Occasionally, his mother would spend time in jail or a psychiatric facility and the children would be placed in foster care, but she would soon retrieve them and the cycle would begin again. Eventually, his mother married yet another stepfather, this one violently unstable. After the man had shot a woman during an argument, Jimmy, his mother and stepfather fled, living out of their car. In Florida, Jimmy's mother abandoned him, aged 13, at a bus station and told him to get a bus to his sister's house. His 14 year old sister had been married the previous year. Although Jimmy was eventually reunited with his mother, she soon placed him in a group home. There followed years of group homes, running away, being homeless and brief periods of living back with his mother. Jimmy did finally find a stable home with Bea and Russell Costner, an elderly couple who forced him to cut his hair and attend church (which he readily agreed to do). Russell soon passed away, but Jimmy continued to live with Bea, eventually earning a degree in corrections. It was while he was living in the first stable environment of his life that he began writing songs and playing guitar. Eventually, he moved to Nashville and embarked on his songwriting and performing career. 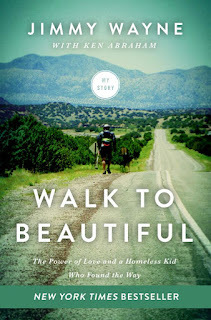 On January 1, 2010, Jimmy began a project to walk the 1700 miles from Nashville, TN to Phoenix, AZ to call attention to the plight of children who become too old for the foster care system. He called his walk "Meet Me Halfway." The last 60 miles of his trip were made with a broken foot. His walk gained a lot of publicity and he was able to help change the laws in several states so that foster children can be cared for up to age 21. The book was very inspirational. It was terrible to read about the awful childhood Jimmy endured, but very uplifting to see how far he's come and to read about how he's used his celebrity to help others.